126 items of “The King of Rock and Roll” were placed on sale in a two-hour auction held at Graceland and online through Invaluable.com and eBay. All of the jewels and watches were once owned or gifted to Elvis. The top item sold in the auction was sold for $18,000, $2,000 under its estimated selling price. 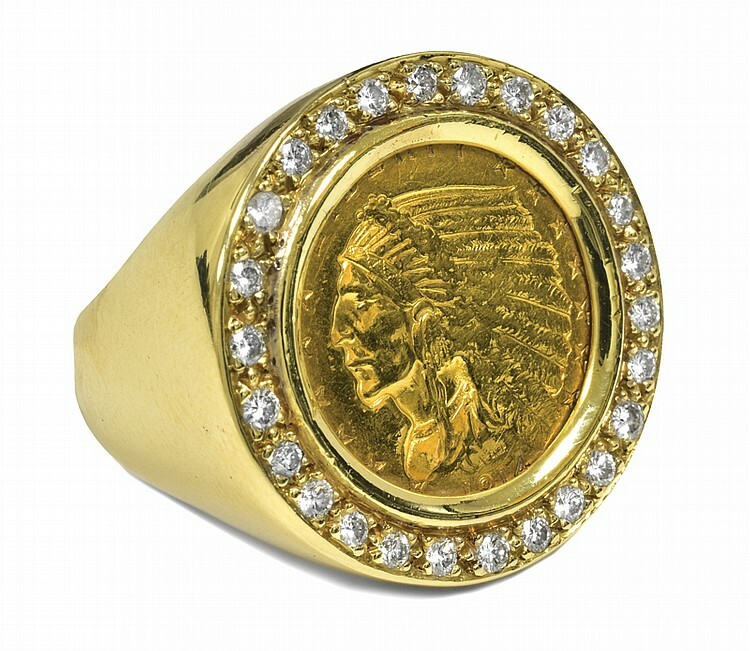 This item was a 1914 Indian Head gold 2 1/12-dollar coin and diamond ring gifted to Presley by Tom Hulett. Hulett co-managed Elvis’ performances during the 1970s. The Indian Head ring was one of several that Elvis had owned. This particular Indian Head ring had 26 round diamonds, weighing approximately 1-carat. 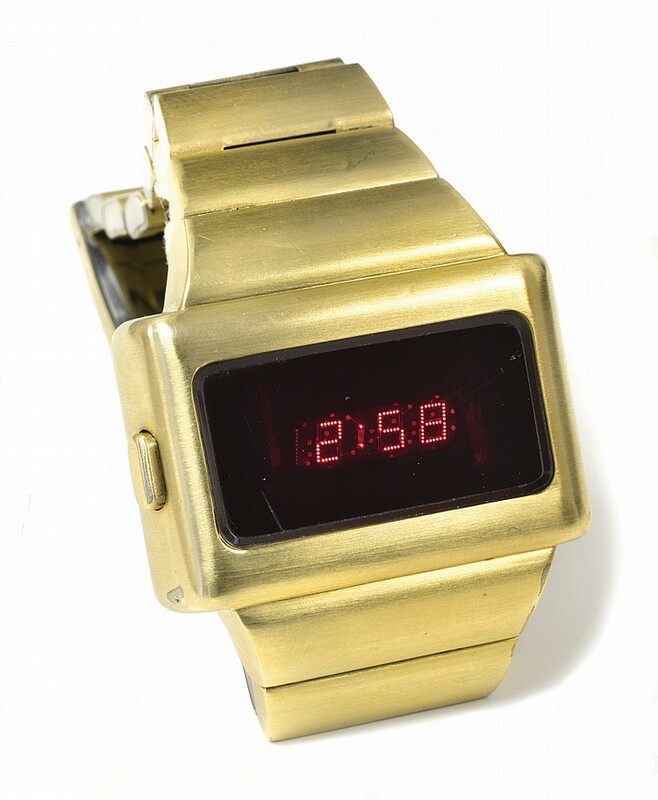 All of the jewels and watches in the auction had personal stories involving Elvis and his close friends and family. The “TCB” 14k lightning bolt necklace given to bodyguard Sam Thompson from Elvis, and the brother of Elvis’ girlfriend Linda Thompson. TCB is an acronym for “Taking Care of Business”. The lightning bolt was designed by Elvis and his wife Priscilla, which later became the unofficial logo from the Presley operation. The necklace was expected to sell at $12,000 however, the item sold at $9,500. 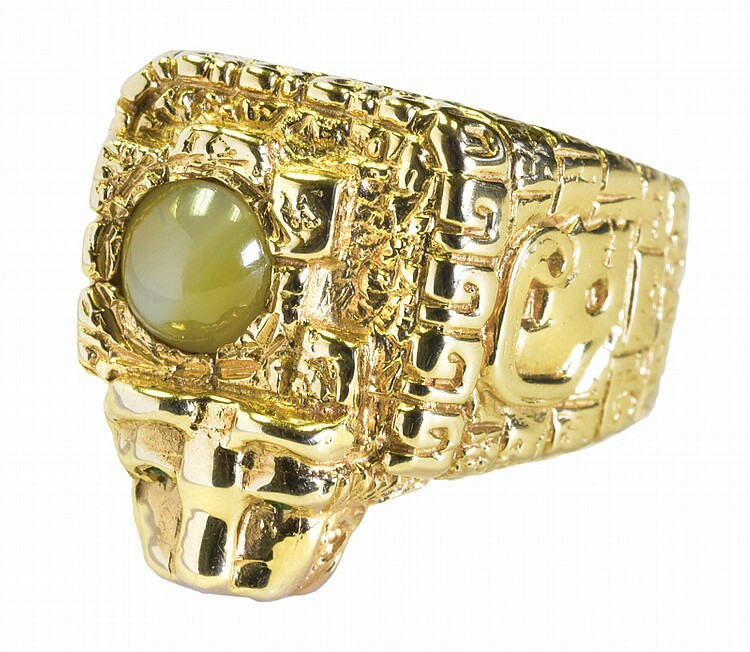 There were also jewels in the auction that Presley gave to his girlfriend Linda Thompson: a gold, diamond and rock crystal quartz ring in the shape of a flower. Overall, the auction ended with some mixed results, as several pieces sold below their estimated price and one item did not sell at all.